The goal of this article is to provide our readers with information on the most important floor cleaning appliance for residential homeowners. 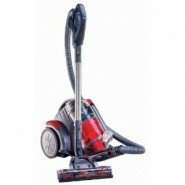 The dry vacuum is arguably the most critical and versatile floor cleaning appliance a residential homeowner can purchase. It is a wise investment because of its versatility. In this article we will also discussion he types of dry vacuums, how they are powered and the types of flooring a dry vacuum cleans. Vinyl Type – Vinyl Composition, Asphalt, Rubber, etc. Wood Type – Hardwood, Cork, Bamboo, etc. Ceramic Type – Quarry, Terracotta, Porcelain, Ceramic, etc. Stone – Marble, Travertine, Slate, Granite, Terrazzo, Concrete, Brick, etc. More important than the power of the vacuum’s motor is that the vacuum has a beater bar brush. Some vacuum units do not have a cylindrical beater bar brush. A brush assists in lifting loose soil and some attached soils from the flooring which allows the vacuum to perform better and speeds up the cleaning process. This makes this type of floor cleaning appliance, the vacuum, the most important floor cleaning equipment to use in a home. When a homeowner is making a decision to purchase a dry vacuum an additional thought besides the quality of the vacuum would be to also consider the warranty and the easy availability of service and parts. They can be used for daily cleaning and deep cleaning. Performs better than dust mopping which is the most important step in cleaning floors. It can replace dust mops for the first step in cleaning floors. Hereby saving the homeowner money. The newer vacuums are much quieter than older models. So vacuuming can be performed anytime during throughout the day. Dual Power Sources make it versatile. Models come in both or either AC/DC Electrical or Battery power. Versatility for different types of flooring such as tile, ceramic, vinyl, wood, stone, concrete floors, carpeting, etc. Controls or reduces labor and increases productivity.